Your San Francisco Bay Area Roofing Specialist! Wonderlin Roofing Systems is located in Castro Valley, CA in the San Francisco Bay area. We are 100% committed to providing the best service possible for your roofing needs. Check out our Services page for a full list of the services we provide. To request an estimate, click on the Request Estimate link above or click here. We pride ourselves in providing the best customer experience possible. 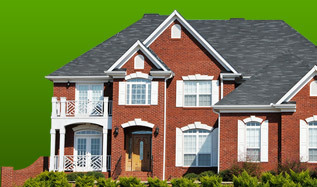 We specialize in residential re-roofing and have been building quality roofs since 1992. With over 25 years in the roofing industry, Grover Wonderlin has been the driving force behind his family run business. Believing that customers deserve the best quality work and knowledgeable service, Grover personally oversees every job from estimating to application of the new roof. In fact, Grover gives his cell phone number to every customer, so that he can be reached to handle any concerns or questions during the job. With all his years of experience, Grover has an extensive knowledge of all kinds of roofing problems and solutions. Wonderlin Roofing Systems is fully insured with general liability, workers compensation, and bonded. If you have any questions, comments or concerns, please don't hesitate to Contact Us. We are available at your convenience to answer any questions you might have. Whether you have questions about our roofing services or if you'd like to request a quote, we are here to help. We specialize in re-roofing with a variety of composite shingles, torch down roofing systems, tile, wood and shake.